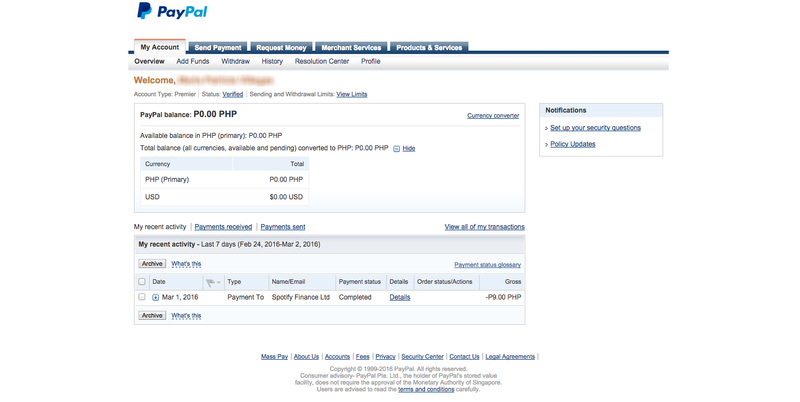 So you want to create your own PayPal account through your Unionbank EON? Lucky you're in the right place! I will teach you a step-by-step process on how I've successfully applied for a Unionbank EON VISA Card, and linked it to my existing PayPal account (with few issues alongside, of course). The reason I chose this bank in opening my debit card is because I've read reviews that they have the hassle-free application system. In fairness, I have to commend Unionbank for how informative their website is. I found their How-to-Open-an-Account Page helpful especially because I don't have anyone to consult with when I feel off the right path. Click here to see the complete details of applying for a Unionbank EON VISA Card. Given that the steps are already mentioned above, I will give you tips in every step so that you won't feel astray during the process. You can check out the Unionbank EON application form here. The only error I encountered along the way is on the TIN/SSS/UMID field. I got a little confused whether what among the three ID numbers will I place. In the end, the SSS ID worked in the field and I was able to submit the form. Shortly, I received an email notification with the reference number and my desired pick-up branch. Just a reminder, your pick up branch should be the nearest to your home, business or office. They also have a list of the available branches where you can claim your EON card. You have to bring with you Php 350 for the annual fee, and the original and photocopy of two valid IDs listed here. I was able to present my passport, TIN ID and Certificate of Employment. They told me over the phone that I have to bring a Certificate of Employment with me as a proof that I work near their branch. 4. Get your EON Visa Debit Card. Good news! 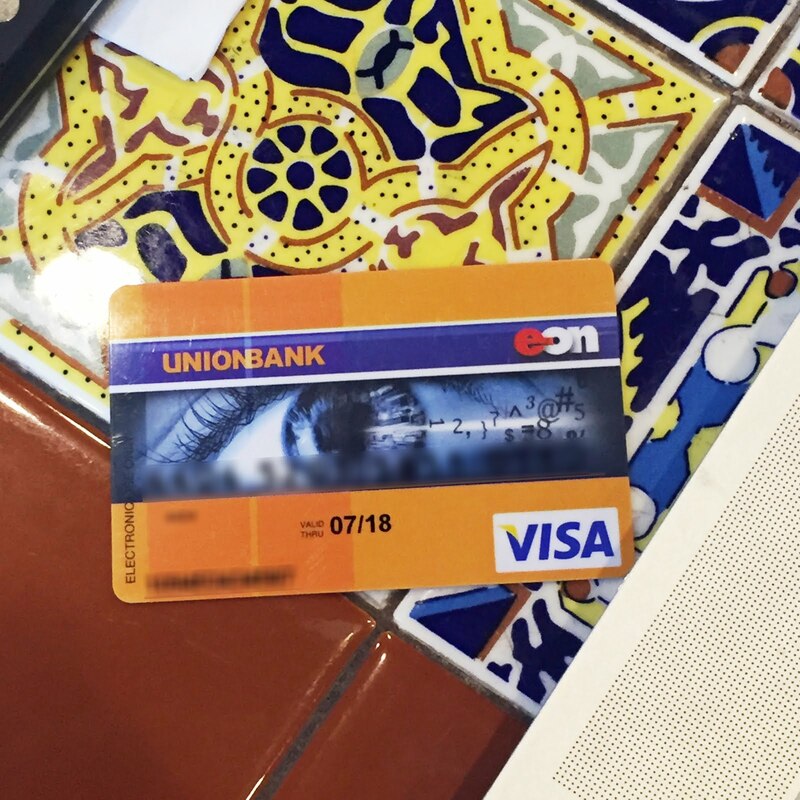 In 10 minutes or less, I was already issued with my own EON VISA Debit Card. The bad news on my end is that, they have no ink ribbons at the moment on my pickup branch that's why my card doesn't have my name on it yet. During the same transaction at the bank, I was also able to deposit money to the card already so that I don't have to line up again. As for the activation of the card, I was told by the staff that I have to wait for 24 hours before the card gets activated. After filling up the form, you'll be asked to confirm your email and voila! You can now log in to your own PayPal account. Last order of business? How do you add your Unionbank EON VISA Debit Card to your PayPal account. On the next page, enter your 16-character card number and Card Verification Value (CVV)- the last three-digit number found at the back of the card. That's it! You can now start purchasing stuff online using your PayPal account. As you can see on my recent activity below, I just purchased a Spotify subscription for three months amounting to 9 pesos. Hee hee. Note: Don't get confused with the PayPal balance if you also have a current balance on your EON card. The PayPal balance pertains to the money transferred to your account and not the money you deposited on your card. If you want to check your account balance, you have to check it through an ATM machine since their online banking is still under maintenance atm. If you have any questions along the way, feel free to drop a comment and I'll do my best to answer right away! How many days did you wait to receive it?